If you have been searching for fun and educational activities to draw your student away from the television and video games, The Tutoring Center, Plano is here to help. Check out these two activities which you and your youngster can enjoy which don’t involve the TV! Many students don’t enjoy writing, but it isn’t because of the task itself. It's usually because their only exposure to the task is writing notes or writing about a subject they are told to write about. Change this up with a writing picnic. Simply gather what you will need for a successful picnic and, once you have each played on the equipment and done some physical activity, settle down and write some short stories. Encourage your youngster to write about absolutely anything and everything, no matter how silly it is! Not only is this a great way to encourage a positive connection with the task of writing but it also affords you the opportunity to identify any challenges they are experiencing with grammar or spelling. If it’s reading which your student isn’t too excited about, keep the picnic idea and just turn it into a reading picnic. 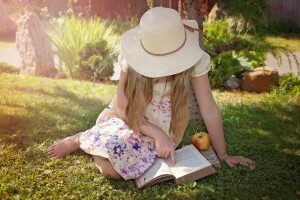 Before your picnic, stop at your local library or bookstore and pick up two copies of a book your student chooses. Once you have these and have full stomachs, sit down and read the books together. Instead of simply reading until you can’t read anymore, take a break after each chapter to discuss how the book has been progressing and where you think the storyline will go. You can even make wagers on what you each think will happen with the correct guess being rewarded with a small treat. If you notice that your student struggles with their spelling or finds it hard to read without sounding out common words, tutoring can help. Speak with The Tutoring Center, Plano at (469) 277-8177 and book your free diagnostic assessment. During your first visit, a learning professional can answer any questions you have about tutoring and how it can help your student improve their grades and self-esteem.